This Reverse Band 3 LNB is the top of the line today. It supports 4K using any Slimline Dish and comes with a built-in multiswitch to support up to 21 tuners (or 13 receivers.) 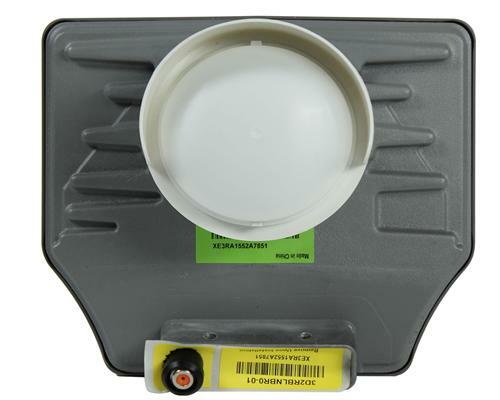 It’s the most capable and futureproof LNB, and one of the easiest to install. Sure, it’s not expandable, but the new LNB that will let you use 4K while expanding beyond that 21 tuner limit isn’t available yet. And will you actually need it? Commercial customers might but most home users find 21 tuners plenty adequate. That’s enough for a Genie and a bunch of other DVRs. People ask if they still need the old “5-location” LNB and the answer is usually no. There are no national channels still broadcasting on the satellite that needs that LNB, and more channels move off that old satellite practically every day. That satellite location will be retired in under two years and so it’s not necessary to try and futureproof a system by using that LNB. Can you connect your new DIRECTV-Ready TV wirelessly?